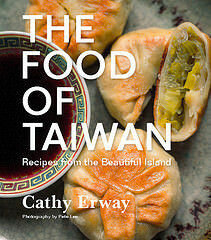 I often browse the Asian cookbooks at Kinokuniya Bookstore in Midtown, but rarely buy them. This discovery was a very special case. The book’s introduction reads like a sweeping, romantic poem about the author and founder of u Ice Cream in Hong Kong — in third person and entirely in Engrish. Within the first few lines, our hero leaves his good job in telecom to study in England, where he was “arrested by a pretty girl,” but his crush was unrequited. So, he decided to lure her by learning how to make the most exceptional ice cream in the world. I’m not going to give away the ending, but it goes on for four more pages, and is killer. Then the really good stuff begins, the ice cream recipes. In addition to the flavor that initially captured my fancy, these recipes include flavors based on soy beans, Chinese rice, sake and ginkgo. (My head nearly exploded by the time I flipped to the end.) 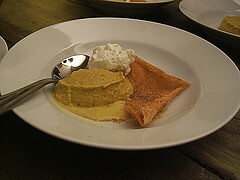 I’ve never made the proper recipe for “Japanese Curry Ice Cream” in it, but used it as inspiration for the dessert we served at the Hapa Kitchen‘s May Day debut dinner. Because in each dish, we wanted to incorporate both Eastern and Western elements, we added shredded carrots (a la a previous Carrot Cake Ice Cream experiment), making it Curry Carrot Ice Cream. The recipe I eventually honed for it is fairly simple — one cup of heavy cream, one cup of whole milk, one cup of coconut milk, carrots, egg yolks, brown sugar and spices. However, this is the only dish from the dinner menu that I tested at home twice, to satisfactory results, but the one I had the most difficulty with the night of the dinner. I’ll save you the string of disasters, but it ended with one of our crew members making a mad dash to Brooklyn two hours before service to borrow an ice cream maker from a dear friend, Winnie. Thanks to her, the venerable Mr. Liu, and everyone else on the kitchen team, this ice cream turned out being the food I heard the most compliments on, and requests for its recipe. One diner wrote in a thank-you note that she she felt “a little violated by the juxtaposition” (I’m assuming that pertains to curry in ice cream), but that it was “super delicious” and “badass” with a double underline. An unusual compliment for an unusual ice cream flavor, I suppose. So to violate even more people, here’s how to make it. In a small bowl, beat the egg yolks and brown sugar until fluffy and the lighter in color. Set aside. Eight brownie points: I’m considering omitting the Health Factor rating from all ice cream recipes from here on. It’s too unsettling. Anyone who’s serious about ice cream would no doubt balk at any attempt to “lighten up” the dessert, or at least demand it be called something else, as real ice cream has a rich, custardy base to give it its quintessential texture and, well, richness. The addition of coconut milk in this one is no saving grace either; it’s naturally high in saturated fat, one of the “bad fats” along with cream and eggs, too (though there are many claims to its various benefits). Six maple leaves: We bought all our dairy for this dish from Ronnybrook, the Hudson Valley dairy farm ubiquitous at the Greenmarkets, and our eggs from Queens County Farm Museum. That’s pretty much the bulk of this batter, aside from all that coconut milk, which was shipped in from somewhere tropical to the shelves of grocery stores in Chinatown. Awesome! I was just wondering what to do with the carrots I got from my Boston Organics delivery (other than carrot cake and carrot cake ice cream), and I think this is the winner! How unique – I would love to try it too! I have often that the green curry ice cream would be fabulous! this is now added to my ice cream making list! that cookbook has been on my wishlist too! i remember standing in the midtown store copying down recipes into my notebook… do you recommend the purchase? Love it! On my summer to do list. I’m the kind of girl who relishes Lavander or Saffron or Basil flavored gelatto. Yum! This looks amazing. I need a ice cream maker! interesting…i’d love to try it! …while we fat-fraidy consumers of margarine, hydrogenated fats, rapeseed oil, cottonseed oil, etc., have it in epidemic amounts? 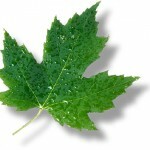 The real killer is low fiber, high sugar (including grains) diets with a sedentary lifestyle. As for me, I’ll gorge on ice cream any day…whether I’m just playing first violin, or out splitting firewood! Sounds great – I made a cinnamon ice cream recently which was a hit. The thing that threw me in you recipe was I looked at the whole article, read the ingredients, and then as I read the directions I came upon “Add the chopped nuts in the last minute of the churning process.” What chopped nuts? They sound like a great addition but nowhere are they mentioned. I would guess pecans or walnuts might go great. 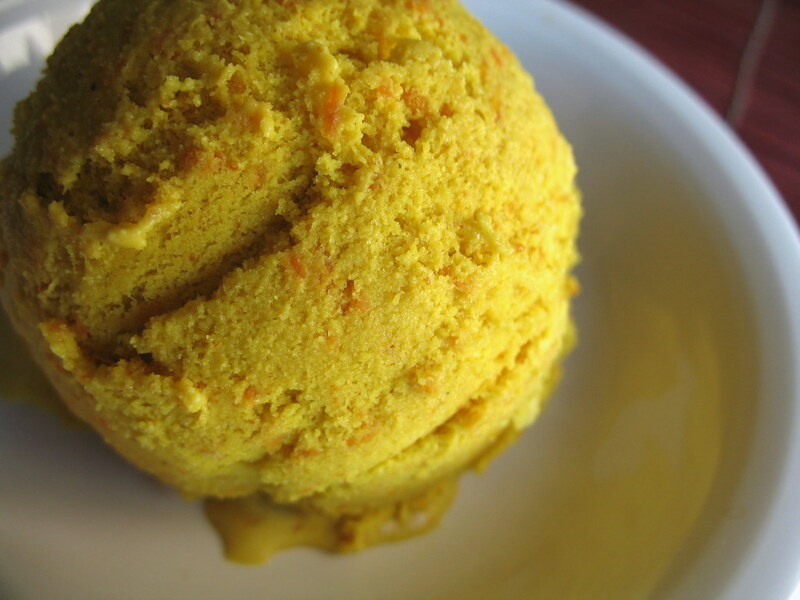 Curry Carrot Ice Cream is not for me.However i do love Carrot Ice cream I make it in my Vitamix. At work we occasionally have a themed potluck where everyone must use a specific ingredient (like Iron Chef). I made this ice cream for our Curry potluck and it took 1st place. Thanks for the really interesting recipe!